I was asked today why I’m not optimistic following Corbyn’s victory in the first round of the Labour Leadership election. Optimism is quite the opposite of how I’m feeling. Consider the potential of rising tuition fees, the scrapped maintenance grants, the inability to claim housing benefit and the insult of a rising minimum wage not applicable to young people. This was all delivered during the first Conservative budget for 19 years. Today, Labour has naively and selfishly condemned young people to another 10 years of Tory rule. Considering the latest polls, this will most likely see George Osborne or Boris Johnson become Prime Minister in 2020. Neither will buy into Cameron’s more compassionate brand of conservatism ideologically, and electorally when challenged by Corbyn will have no need to do so. The cuts will be harder and young people will continue to fall victim to the majority of them. But my concern goes further than this. Even under Blair, there were attempts to label Labour the loony left, the death of aspiration, to make out that the party would spend money it didn’t have and raise taxes in order to do this. These accusations weren’t made by desperate Conservatives without purpose; they were made because left-wing government of heavy taxes and spending is simply not desired by the British electorate. The majority of Labour-Tory swing voters at the last election voted Tory due to Labour’s economic incompetence. Corbyn’s victory not only gives way to an opportunity of successive electoral victories for the Tories, it allows them to cause total destruction of the Labour brand. The very same Labour that gave young people the education maintenance allowance, increased funding for youth services and whose tax and benefit reform reduced child poverty at a record-breaking rate. Young people need a strong Labour Party. They need a strong opposition to a Government ripping apart their youth services and making education a privilege. Conversely, they will receive a Labour Party fighting an internal battle against a leader who has no right to demand discipline from his MP’s. They will see policy announcements which excite them ever aware that they will never be implemented. Most importantly, they will see the deterioration of the only anti-Conservative mechanism strong enough to create positive change. Corbyn’s values may well attract more young members, yet in opposition they will remain nothing more than principle, only through winning elections can the policies which benefit so many young people come to alter the lives of those who rely on them most. 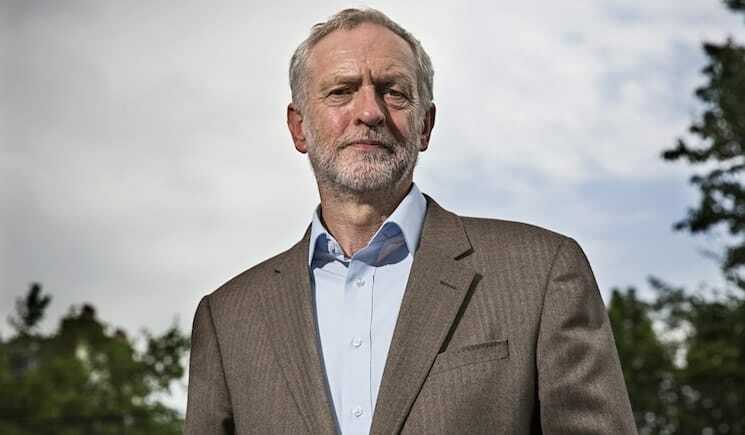 Labour electing Corbyn is sort of like them signing a world class striker – you give them the chance and they should do a lot of good – knowing that striker will be eternally be sat on the bench where they can’t really do anything. It will be a long while until the next Labour government, today is a sombre day for the oncoming generations of young people. The political landscape in the UK has changed – in an exciting way.